dreaming is the starting point of achieving your goal. if it never occurs to you that they can do it, you won’t try. when you begin to dream big dreams, you begin to change the way you see yourself and your life. you begin to do different things. until the whole direction of your life changes for the better. dreaming bigger dreams is the starting point. 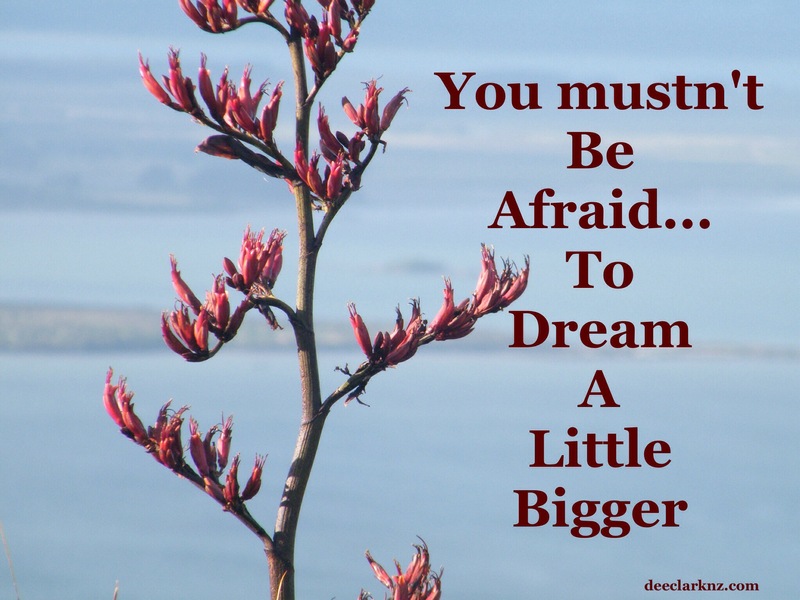 allowing yourself to dream bigger raises your self-esteem, your self-respect and increases your self-confidence. thus increasing your happiness. dreams and visions stimulate you to do better than you ever have before. this is important because the gifts and skills that you were created with are more than enough to make your dreams come true. think about how we describe a genius. a math genius seems to effortlessly work with math figures and formulas. a music genius plays or sings music as naturally as they breath. what are you a genius at doing? what do you do that seems almost second nature to you? do you have an eye for detail, a great sense of humor, a nurturing side, the ability to focus intently, or being playful. this is your genius. those things that come easily and profoundly, without needing to expend a lot of energy. recognize the genius in yourself…are you a genius mother, teacher, listener, confidant, manager, organizer, or factory worker? there are many, many who have never been called “genius” who serve in genius ways. those “gifts” are the resources you need to make your dreams come true! they were given to you by design. it’s a great place to start.